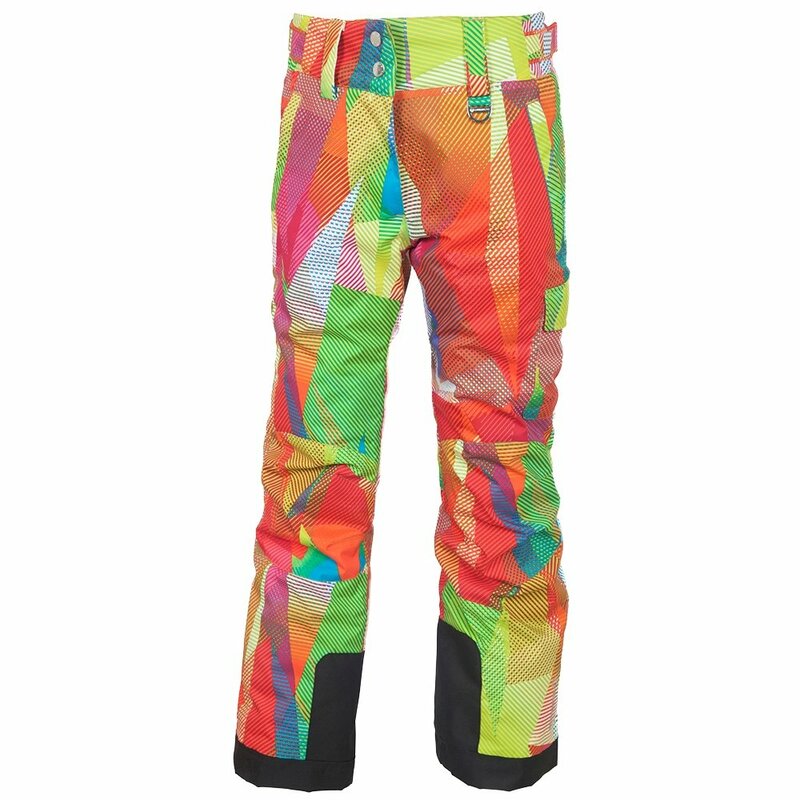 Sunice's Zoe Ski Pant brings some warm, bright personality to the slopes. Its vibrant fabric protects from the weather with 10K/10K waterproof breathable construction, offering smooth stretch for more athletic skiing. Snow gaiters seal the ankles to prevent snow from spraying into the boots. Sunice's Growcuff system allows you to extend the pant by an inch and a half, increasing size around the growing youth. The tough, tear-resistant fabric and scuff guards ensure that it looks like new years later. I love my new snow pants! There is not much snow outside, but I can't wait to hit the slopes with them!